Finally...no more slippin' or tippin'! 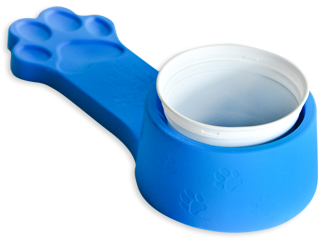 Simply press your frozen treat cup into the Happy Lapper and our non-skid design will keep it in place...no mess, no frustration for your dog! What should I put in my Happy Lapper? Mix ingredient together until creamy. Spoon into a muffin pan and place in the freezer. After treats are frozen, pop them out of the muffin pan and store in a freezer bag. 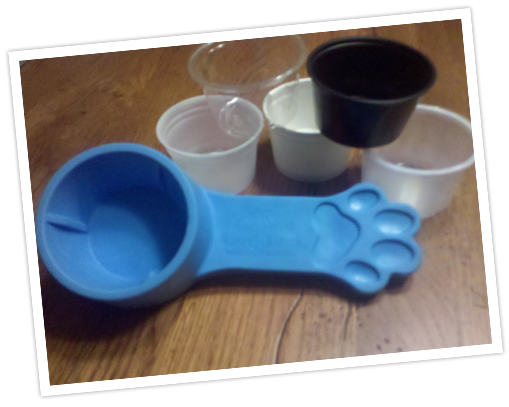 Push the frozen treat down into the Happy Lapper and serve to your favorite furry friend. 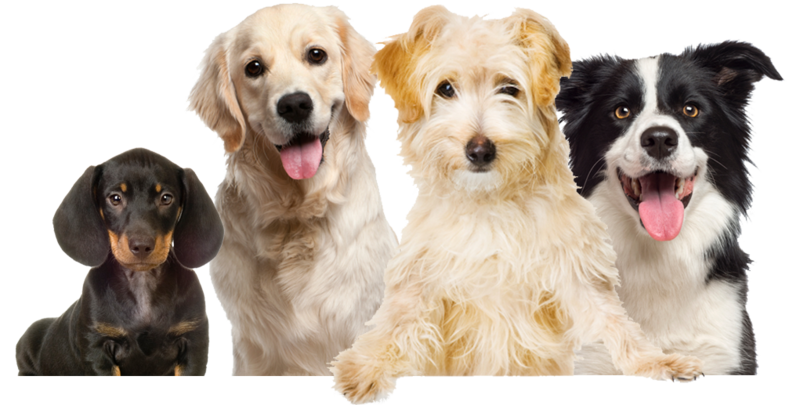 Send us your comments, questions and dog pictures... we welcome it all! The Happy Lapper is a Pup Peeves LLC product, made in the USA! Pup Peeves wants you to be totally satisfied with your purchase. If you are unhappy with your purchase you may return it for a refund or exchange within 30 days. The return postage is your responsibility, unless the product is being returned due to a defect, in which case we will cover all return shipping costs. We do not rent, trade, or sell your personal data to anyone. We value your privacy as much as we do our own! Information we collect to process your order will not be used for any other purpose. Only $6.00 Flat Rate Shipping in USA!